The following entries, in date order, give brief details of what's recently arrived, or on the horizon - DVDs, CDs, books, television appearances, talks and more. Click each for more details, or place your orders through the direct links below to the likes of Amazon.com, Amazon UK etc., to help Brain Damage, at no extra cost to you! For concert appearances, check out our Gig Calendar. One of the more sought after Pink Floyd vinyl releases is the 1995 PULSE 4LP box set, which (if you can find a copy, even in fair condition) commands extremely high prices. If you've always wanted this album on vinyl, we have some great news for you! 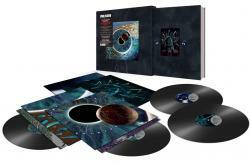 On May 18th, 2018, Pink Floyd Records are releasing it on heavyweight 180-gram vinyl. The 4LP set includes four different inner sleeves, each inside individual outer sleeves, plus a 52-page hardback photo book, all encased in a thick card slipcase. Aubrey "Po" Powell and Peter Curzon, who work on the original artwork with the late Storm Thorgerson, have recreated the superb original packaging for this reissue. 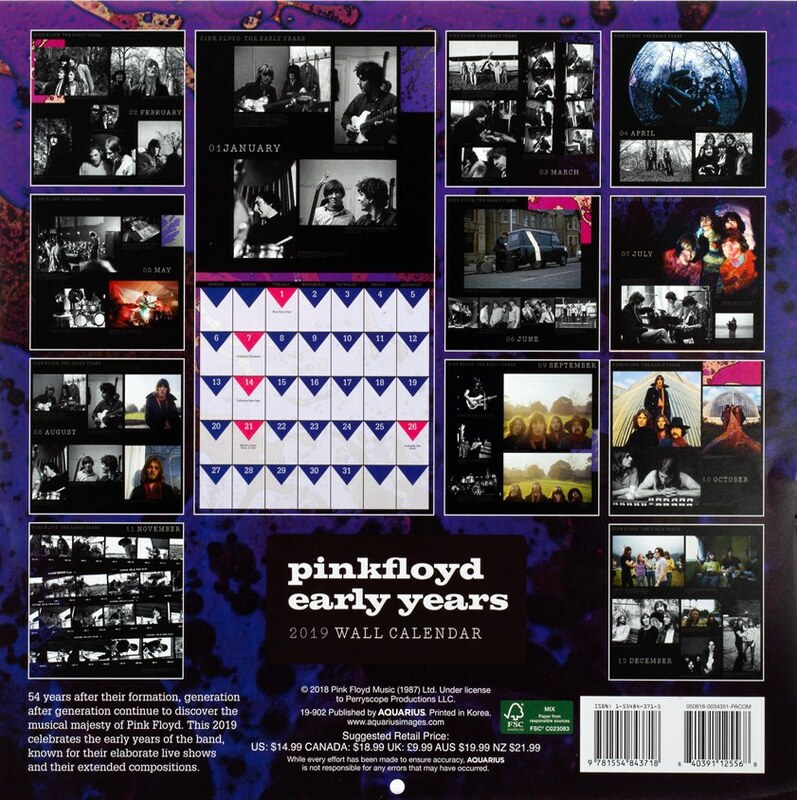 As with other Pink Floyd Records output, this 2018 release was remastered from the original tapes by James Guthrie, Joel Plante and Bernie Grundman. One curiosity about the vinyl (like the original cassette) is that it includes One Of These Days as an additional track, which wasn't included on the CD version (presumably due to space issues). With the cassette out of print, this new edition of PULSE on vinyl will be the only place to legitimately get hold of this recording of One Of These Days. 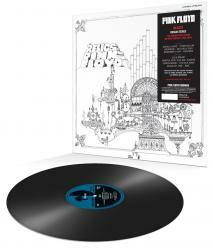 We're sure that this will be one of the most popular Pink Floyd Records releases, so we urge you to place your orders early. To secure your copy now, for despatch upon release, please use these direct links, which will also qualify for Amazon's pre-order price guarantee - they will automatically charge the lowest asking price between your order, and release: Amazon UK, Amazon.com, Amazon Canada, Amazon France, Amazon Germany, Amazon Spain and Amazon Italy. Using our Amazon links also helps us hugely with ongoing site running costs and we really appreciate it! 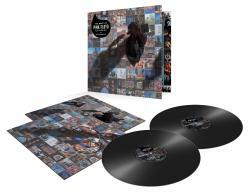 On 18th May (the same date as Pink Floyd's 4LP PULSE live album is re-released), the Floyd's much loved "Relics: A Bizarre Collection of Antiques & Curios" arrives on heavyweight 180-gram vinyl, as part of the Pink Floyd Records reissue programme. The album is the band's 1971 compilation pulling together singles, B-sides, and early album tracks. The album features the intriguing and complex artwork hand-drawn by Nick Mason, and like the original release, all tracks are the original stereo versions, which sit alongside the mono tracks Arnold Layne and See Emily Play. As with other Pink Floyd Records output, this 2018 release was remastered from the original tapes by James Guthrie, Joel Plante and Bernie Grundman. The album was a number of fans' initial introduction to the band, being released on a budget label (MFP - Music For Pleasure) which sold the album in stores such as Woolworths, and we suspect this re-issue, on decent vinyl, will prove popular! You can order this via the following direct links, which will also qualify for Amazon's pre-order price guarantee - they will automatically charge the lowest asking price between your order, and release: Amazon UK, Amazon.com, Amazon Canada, Amazon France, Amazon Germany, Amazon Spain and Amazon Italy. Using our Amazon links also helps us hugely with ongoing site running costs and we really appreciate it! On Friday, May 18th, Still On The Run: The Jeff Beck Story gets a worldwide release via Eagle Rock Entertainment, on DVD and Blu-ray. 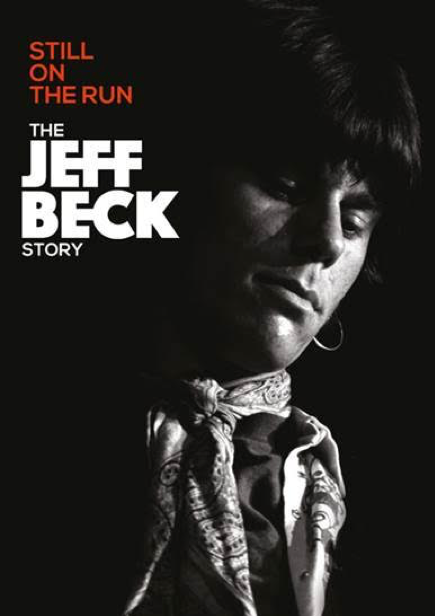 Still On The Run: The Jeff Beck Story documents the history of a musical maverick and true innovator, delving below the surface to shed light on the circumstances, inspiration and technicality behind the man and his music. The film features extensive interviews with Jeff both at home and in his workshop, as well as interviews with Jimmy Page, Eric Clapton, Rod Stewart, David Gilmour, Ronnie Wood, Slash, Jan Hammer, Joe Perry, Beth Hart and many more. Beck’s childhood saw him surrounded by music; from the endlessly playing radio, to his homemade guitar and the countless hours he spent poring over records and playing music with his friend, Jimmy Page. "I didn't have to think about taking up guitar, I just wanted to pour my feelings into it" said Jeff. The acclaimed documentary reveals the true story of the guitar player who builds hot rods and captures the excitement and anecdotes of those who have worked alongside him. Jeff Beck has always been a risk taker, on an endless quest for fresh and challenging new sounds. Bending notes and filtering a myriad of musical inspirations, he will continue to inspire fans and musicians alike by giving voice to his guitar in the most unexpected ways. As we now start looking towards the end of the year (yes, we know it is still September, but Christmas isn't that far around the corner! ), it's that time again... now available is the Official Pink Floyd 'Early Years' 2019 Calendar. It's a perennial Floyd fan favourite - particularly as a gift at Christmas time - is this annual official wall calendar. An item which has been produced for many years now, the standardised format is roughly the same size as a vinyl album - roughly 12" (or 30cm) square, with the calendar opening up to have a double page spread per month. 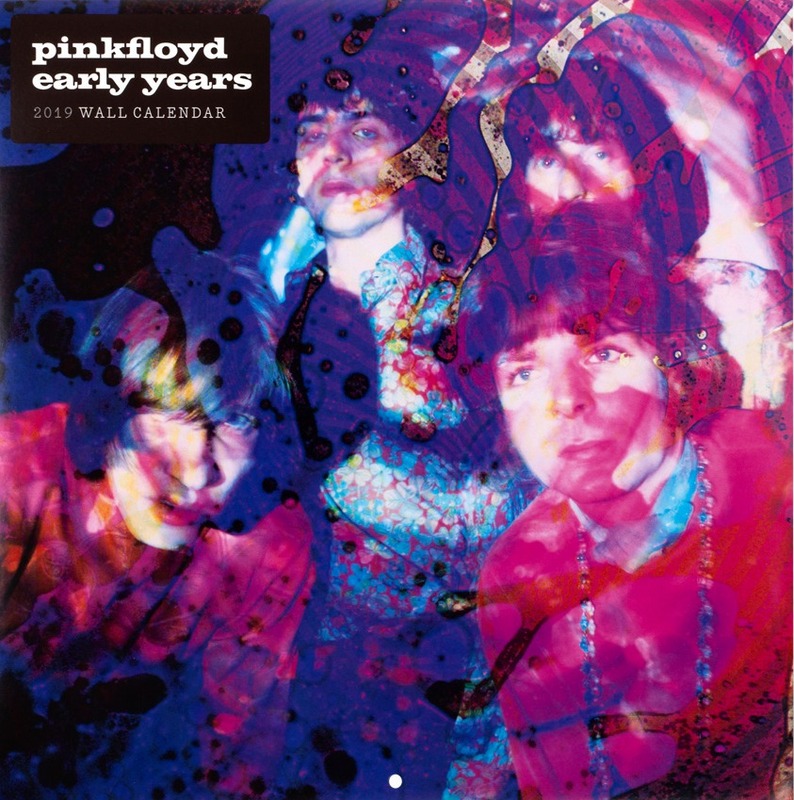 The calendar this year - as the full title suggests - could be considered a companion piece to the band's lavish Pink Floyd The Early Years 1965-72 box set (and subsequent "breakout" year sets). Each month provides a blend of (mostly) black and white shots from the band's initial years, and includes live shots, backstage, studio and posed press pictures. The calendar each year is often squirrelled away as a collectable for the years to come, and earlier examples are now quite sought after, and we're sure this one will prove just as popular. If you want to place your order now, you can do so through these direct links: Amazon UK, Amazon.com, Amazon Canada, Amazon France, Amazon Germany, Amazon Spain and Amazon Italy. 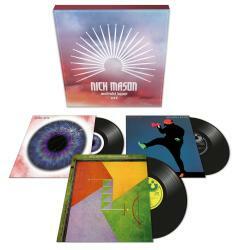 Released on August 31st, 2018 through Warner Music is Nick Mason's 'Unattended Luggage', a three album CD or vinyl box set of his albums 'Nick Mason's Fictitious Sports', 'Profiles' and 'White of the Eye'. These limited edition box sets will be available shortly before his acclaimed new band Nick Mason's Saucerful Of Secrets begin their European tour at Cirkus in Stockholm on September 2nd. For those who need reminding, 'Fictitious Sports' was Nick's debut solo album from 1981, which included collaborations with a variety of different musicians including Robert Wyatt and Carla Bley. 1985's 'Profiles' saw him hook up with 10cc guitarist Rick Fenn, and is a mainly instrumental album except for tracks Lie for a Lie which features vocals from Maggie Reilly and Floyd bandmate David Gilmour and Israel, sung by UFO keyboardist Danny Peyronel. Below we list dedicated ordering links for both box sets - CD and vinyl - using these links will give a small but vital contribution to the running costs of Brain Damage, without costing you a penny/cent extra, and we really appreciate it! NOTE: Some of the stores above are yet to list the releases as available to buy but the pages are there for when they do. If your chosen store doesn't have it yet, please keep trying, or consider an alternate store - Amazon ship vinyl and CD albums worldwide. 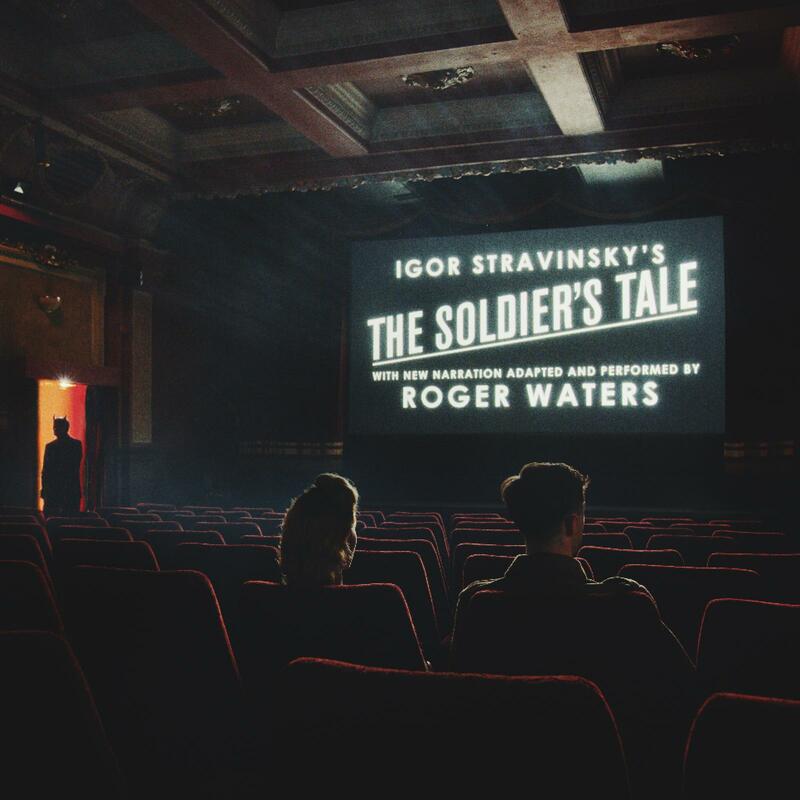 In an unexpected announcement, it has been confirmed that Roger Waters, in conjunction with the Bridgehampton Chamber Music Festival Orchestra, has been working on a new album - Igor Stravinksky's The Soldier's Tale - to be released via Sony Music Classical, on October 26th, 2018. For this new recording of this classic, Roger has rewritten the text, telling the whole of the harrowing modern fairy tale, playing not just the Soldier, the Devil and the Narrator, but all the other characters as well! The track listing for this album is shown below the ordering info; longer term visitors to Brain Damage will recall that Roger performed The Soldier's Tale back in 2008 with the Bridgehampton Chamber Music Festival Orchestra. It clearly made a big impression on him, resulting in this recorded collaboration which certainly sounds very intriguing. To secure your copy now, for despatch upon release, please use these direct links, which will also qualify for Amazon's pre-order price guarantee - they will automatically charge the lowest asking price between your order, and release: Amazon UK, Amazon.com, Amazon Canada, Amazon France, Amazon Germany, Amazon Spain and Amazon Italy. Some stores (at time of writing) are still getting their order pages ready - please persist if you cannot yet order through your chosen route. Using our Amazon links also helps us hugely with ongoing site running costs and we really appreciate it! A new book is due to be published that should prove a fascinating insight into the audio side of Pink Floyd's development. 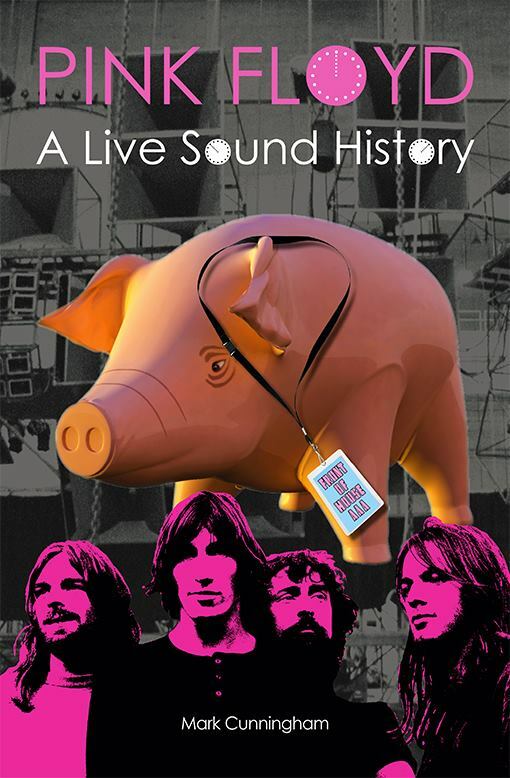 Written by music industry expert Mark Cunningham, who used to run the magazine Total Production International, Pink Floyd: A Live Sound History is due at some point but to whet your appetites, Mark has given us a sneak preview of what's to come. The book will tell the story of how Pink Floyd pioneered live sound and how equipment manufacturers fought to keep up with the band's demands for better, bigger and higher quality, in tandem with their equally adventurous touring stage productions. It will feature rare images and exclusive interviews conducted by me with key touring personnel and industry figures including Robbie Williams, Phil Taylor, Mick Kluczynski, Andy Jackson, James Guthrie, Buford Jones, Charlie Watkins (WEM), Alan Parsons, Seth Goldman, Bryan Grant and more. A large portion of the manuscript was actually proof-read by Roger Waters who made comments that have informed the content. Solo tours up to and including The Wall Live will also feature, as a way of highlighting the further progression of live sound influenced by the Floyd. The first leg of Roger's arena tour, in part to support the release of his new album Is This The Life We Really Want? took place in 2017, in North America. Roger has talked about the tour eventually running to around 200 dates worldwide...we are expecting further dates to be announced in due course, to add to the upcoming European/South American/Mexican dates already announced. 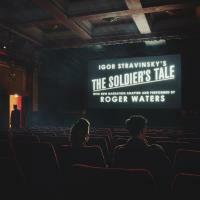 We have had confirmation from Roger's manager, Mark Fenwick, that Roger is still working on a film of TDSOTM live show, but until it is finished there will be no release scheduled. As soon as we have more details of what this release (will it be a cinema release, or in DVD and hopefully Bluray format?) will involve, we will let you know. It is encouraging though to get official word on this, which we know from the feedback we've had will be incredibly popular! Work has been ongoing since 2011 on a documentary about the late Syd Barrett. In June 2013, StormStudios talked about the project in an email newsletter: "Since the end of 2011 Storm had been very busy filming a documentary with Rupert about Pink Floyd's founder member, Syd Barrett. They filmed many interviews including old school friends, flat mates, girlfriends, fellow musicians and all the surviving members of Pink Floyd. So far it's proved a very enlightening experience. The film itself is at the editing stage right now and it's a thrill to see it all coming together. Watch this space, as they say, for more news coming soon." Work is presumably still ongoing on this, and in July 2014, Lee Hall who is working on the production's book with Roger, revealed that workshops would be taking place in the autumn/fall 2014. In an interview with Rhythm Magazine published at the end of August 2010, Nick talks about a film that is in the works about Pink Floyd that he has been working on...this may have been superseded by The Early Years box set though. In the works, it seems, is a new edition with at the very least a new drum track, according to an interview with Andy Jackson at SuperDeluxeEdition.com, noting that "We have started this process a while ago, doing new drums with Nick". More on this, as we get it. Doug Sax, mastering engineer for Roger Waters, David Gilmour, Richard Wright and Pink Floyd since 1983, is interviewed at length in the 2011 edition of "The Absolute Sound" Guide to Vinyl Playback, and confirms that "I'm going to be doing the Roger Waters albums on vinyl and they have extraordinary low end, requiring an astonishing amount of vertical modulation. We use up the full depth available on a lacquer master. You can't do anything like that on DMM. It's very thin; you can't go deep. For that kind of thing it could be an absolute joke." As work is yet to start on them, it will be some time before there's any release information, but sounds good that Sax is taking his customary care to ensure these sound as good as they can. As and when we hear anything else, we will update this page.